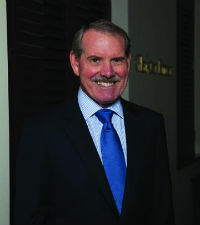 Tim Jones leads the land development and property law team, and has been a partner with the firm for over 30 years. Jones is a property law expert, with particular expertise in residential and commercial property transactions and land development. He was recently elected the vice-president of the New Zealand Law Society and a contributing member of the government advisory group assisting the DBH on the redrafting of the Unit Titles Act 2010 and its regulation. When not advising clients, Jones is also an active member of several organisations on unit title (strata title) matters. He recently presented a paper in Australia at the Australian College of Community Lawyers and has just joined the new New Zealand chapter of Strata Community Association.